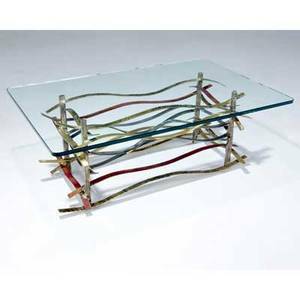 Paul evans coffee table with glass top over sculptural patchwork bronze base. 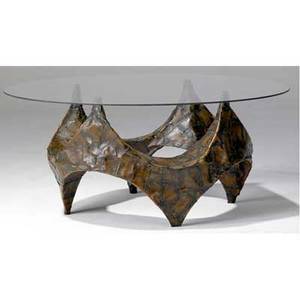 base: 18 3/4" x 26", with glass: 42"
Archived auctions similar to Paul evans coffee table with glass top over sculptural patchwork bronze base. 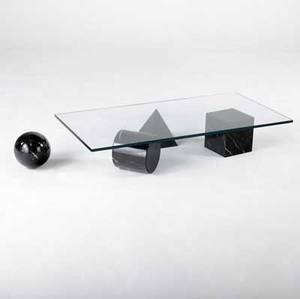 base: 18 3/4" x 26", with glass: 42"
Richard meier (attr.) 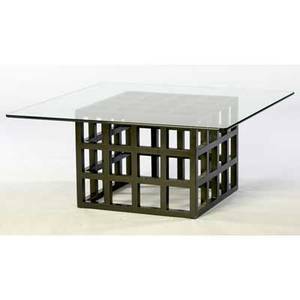 coffee table with glass top over black lacquered wooden cube base. 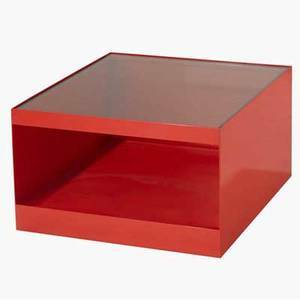 18 3/4" x 42"
Joe d"urso / knoll side table with glass top over red enameled metal base. 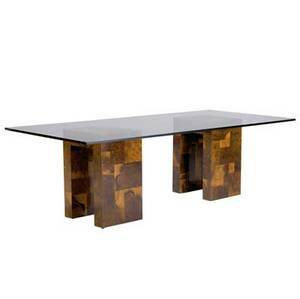 16 1/4" x 26 3/4"
Paul evans dining table with glass top over two olivewood patchwork bases. signed. 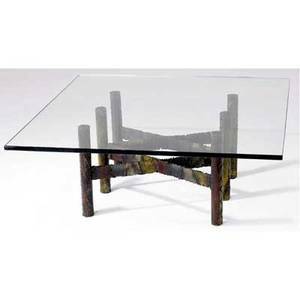 29 1/4" x 95 1/4" x 43 3/4"
Paul evans occasional table with glass top over patinated steel base. signed. 16" x 42" sq. 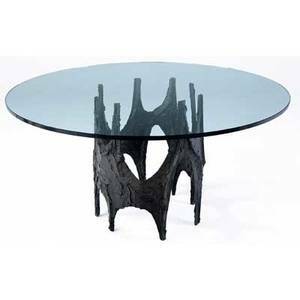 Paul evans breakfast table with glass top over sculpted bronze base, 1970. (from the estate of wilson pickett.) signed pe 70. 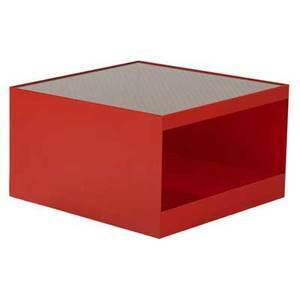 29" x 55" dia. 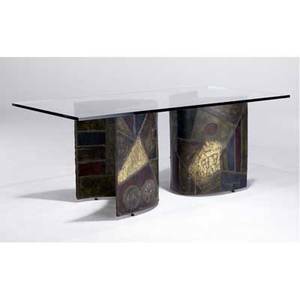 Paul evans dining table with glass top over two crescent-shaped, patinated steel bases, 1972. signed pe "72. 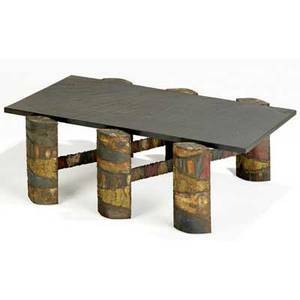 29 1/2" x 72" x 38"